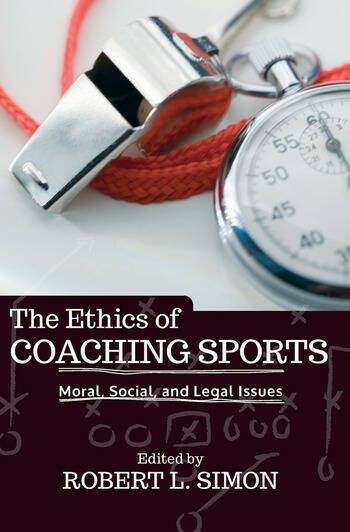 The Ethics of Coaching Sports features invited contributions written by prominent scholars examining a broad range of normative or evaluative issues that arise from the role of the coach in competitive sports. The collection is accessible and comprehensive, including discussion of concrete issues in coaching, such as the distribution of playing time, bullying, the implications of recent events surrounding the Pennsylvania State scandal, and Title IX and gender equity. The contributing authors also explore the larger ethical considerations of the role of the coach as educator, leader, and moral role model; special considerations when coaching children; and an examination of the failures of coaches to meet appropriate standards when they do not respect their players and their programs. Each contributor presents the main arguments and positions relevant to their chosen topic and, with the ground set, the authors then seek to advance the reader's theoretical and philosophical understanding of coaching. Robert L. Simon's introductions to each of the book's four parts help to summarize the main theses of the contributors' chapters and examine differences between how each author approaches their chosen subject.Study questions are also provided for each chapter, making The Ethics of Coaching Sports the perfect companion for classes on sports ethics and coaching.